US People--Pinkney, Ninian., Medical Director, USN. Ninian Pinkney, a native of Maryland, was appointed an Assistant Surgeon in the Navy in March 1834, and attained the rank of Surgeon in 1841. 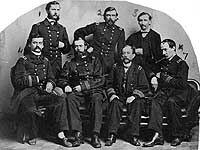 During much of the Civil War, he was Fleet Surgeon of the Mississippi Squadron, serving on board the hospital steamer Red Rover during much of that time. Dr. Pinkney was promoted to the rank of Medical Director in March 1871. He retired in June 1873 and died on 15 December 1877. During World War II, the evacuation transport USS Pinkney (APH-2) was named in his honor. This page features our only images of Medical Director Ninian Pinkney. 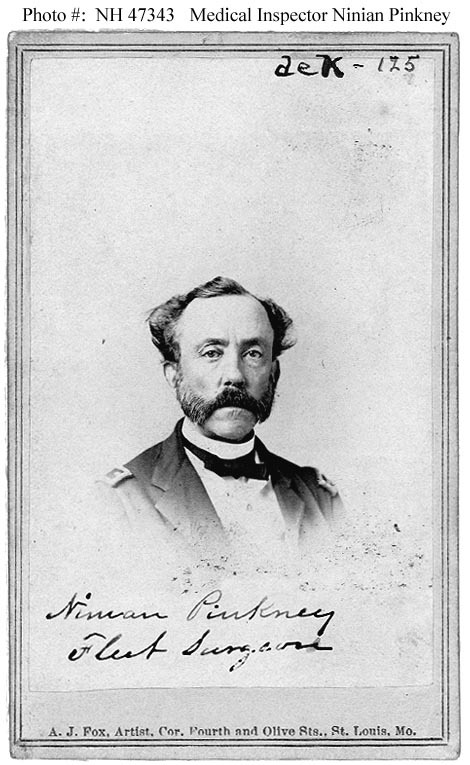 Photographed at St. Louis, Missouri, during the Civil War, while he was serving as Fleet Surgeon for the Mississippi Squadron. The original print is mounted on a carte de visite. Printed at the bottom of the card is "A.J. Fox, Artist, Cor. Fourth and Olive Sts., St. Louis, Mo.". 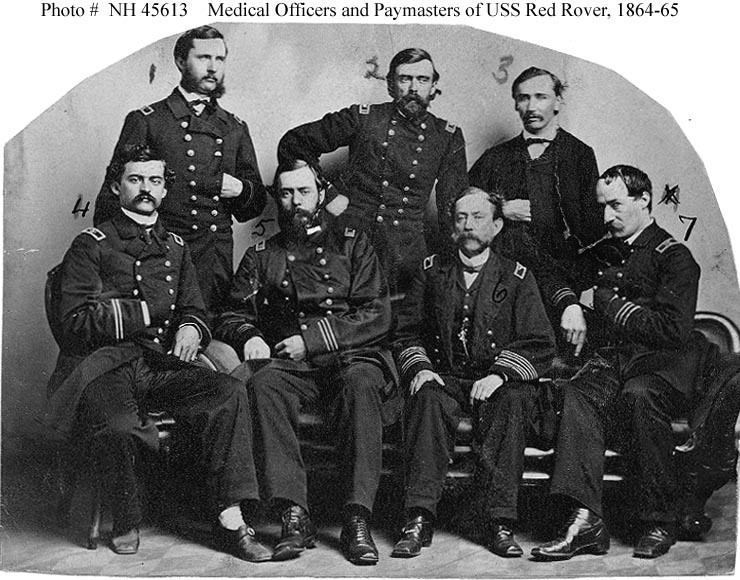 Ship's Medical Officers and Paymaster, circa late 1864 or early 1865. 7. Assistant Surgeon Michael Bradley.